1. 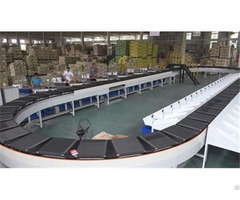 The module belt sorting equipment is composed of a belt, a code reader, a module belt sorting machine, a sliding chute and a control system, so as to realize the functions of the upper belt, the drawing distance, the scanning code, the sorting and the dropping of the fast part. The device realizes the servo drive to control the universal ball by adopting the core technologies such as servo control technology, image recognition and the like, so as to control the fast part to generate lateral displacement and fall into the planned grid. 2. 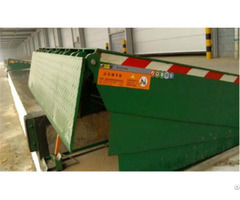 The sorting equipment is mainly divided into manual sorting equipment, semi-automatic sorting equipment and full-automatic sorting equipment. 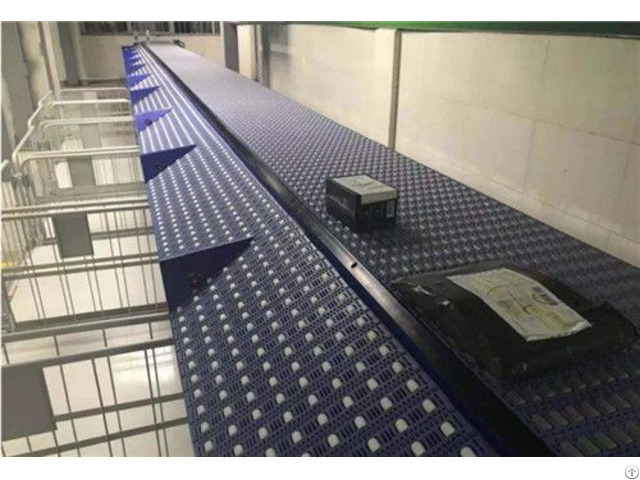 With the characteristics of high efficiency, low cost and high quality, the module belt sorting equipment has been extended and applied in some express logistics industry. 3. 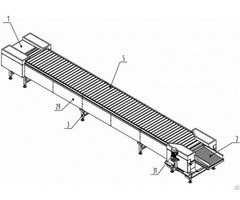 The application advantage of the module belt sorting equipment in the express industry is:1) the goods can be sorted in a large amount, the processing time limit is accelerated, the sorting efficiency is improved, 2) the human resources are released, the cost is saved, the production income is increased, and 3), the intermediate link is reduced, and the processing pressure during the peak season is relieved. 4. At present, the module tape sorting equipment has been popularized and applied in the industries of express mail, e-commerce, clothing, video, alcohol and other industries. Changsha Liuzhu Technology Limited was established in August 2014 with registered capital of 5 million yuan, factory area of 4000 square meters, monthly capacity of 2000 meters transmission line, is a collection of product research and development, production, Marketing and technical services for the integration of automated logistics equipment enterprises. At present, the company has a number of excellent, young management team and technical backbone strength, can provide customers with a full range of services, such as pre-project planning, product design, production, equipment installation, commissioning and after-sales service support, etc. The company service enterprises have reached more than 20, and has 8 patents in the field of logistics equipment. In 2015, the company passed the ISO9001 quality system certification. In 2017, it won the certification of high-tech enterprises. Changsha Liuzhu Mechanical and Electrical Technology Co., Ltd warmly welcomes friends from all walks of life to visit, guide and negotiate business.